I’m not that old, but when I think of grocery shopping back when my children were little, it’s a blur of car seats, dropped toys, cereal negotiations, and the occasional tantrum – not always by my children. But the gods have smiled upon moms and dads everywhere and given us the power of voice shopping with very own personal assistant – Alexa. 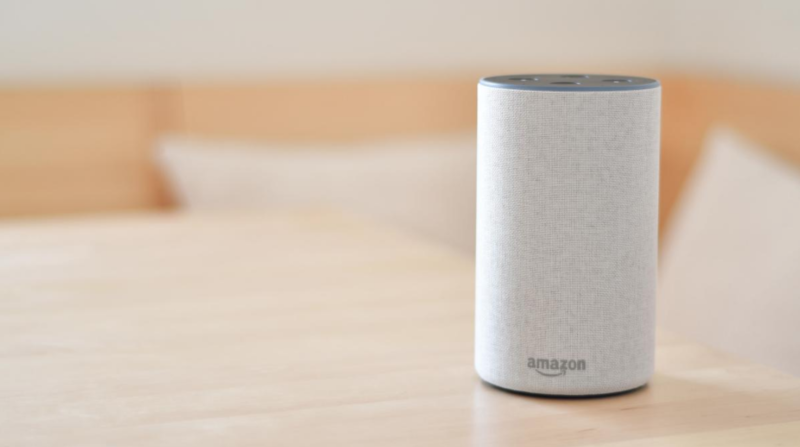 If you’re new to using Alexa for more than checking the forecast or settling an argument about trivia, you’ll be glad to know that with a few simple steps you can use Alexa to add items to your Amazon shopping cart, complete the purchase, and even track your order. The first step is, of course, to become an Amazon Prime member at the cost of $119 per year. Once that’s complete, go to your Alexa app and choose Menu > Settings > Alexa Account > Voice Purchasing. Click on Purchase by Voice. Then go to 1-Click Preferences on the Amazon website and set up a payment method. To purchase an item, simply say, “Alexa, add (product or item) to my shopping cart.” Alexa will add the item to your cart. Repeat until your shopping list is complete, then say, “Alexa, order items in my shopping cart.” Alexa will ask you to confirm your order, allowing you to review the items and make changes before the order is sent. You can specify Prime Now for faster delivery, but you’ll have to specify by saying “Alexa, order (item) from Prime Now.” If the item is available for two-hour delivery, it will be added to your cart and be to your door in two hours. The beauty of ordering through Alexa is that you can be as vague or specific as you like. If you’re ordering a Lightening to USB cable, you can say, “Alexa, order one SEGMOI Apple certified USB Lightning cable” and it will be added to your cart. Or, say, “Alexa, add a Lightning to USB cable to my cart,” and Alexa will choose an Amazon Prime product for you unless you’ve ordered the item before. In this case, Alexa will default to your previous specifications. If you’re not looking for a specific brand or style, you can say, “Alexa, find me deals on (item),” and Alexa will find options, list the sale price and ask if you want to purchase it. Simply say “yes” to add it to your cart or “no” to move to the next deal. This is particularly useful if you’re shopping for gifts and need suggestions. CNET has excellent guides for using Alexa to buy gifts or gift cards. By now you’ve likely heard examples of kids – or parrots – who have ordered hundreds of dollars of items through Alexa so learn from them and add a four-digit code to authorize purchases. Go to the app, tap Menu > Settings > Alexa Account > Voice Purchasing. Then tap Voice Code, type in the four-digit code you’d like to use, and select Go. Once you’ve placed your order, you can track it by saying, “Alexa, track my order,” and Alexa will tell you the date of purchase and when they are scheduled for delivery. You can have Alexa provide automatic shipping updates through the app. Go to Settings > Notifications > Shipping notifications. Choose the notifications you want to receive. When new information is available, Alexa will notify you.